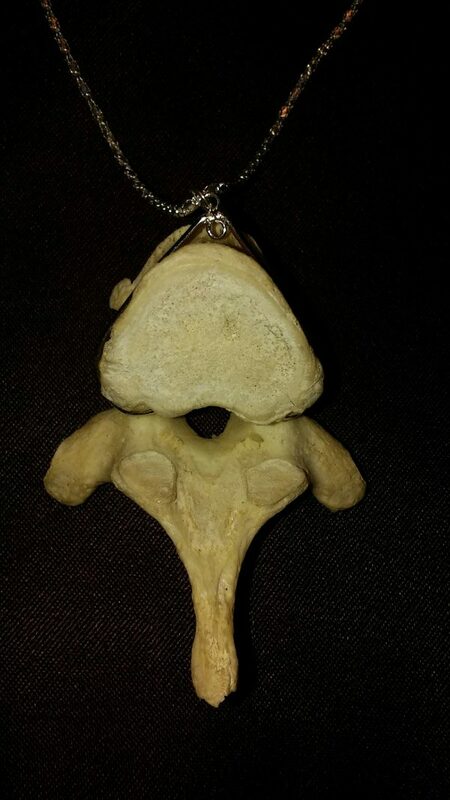 This human vertebrae necklace is the real deal, real human bone and really creepy! These bones are ethically sourced. Natural bone white, 3 inches long by 2.5 inches wide. 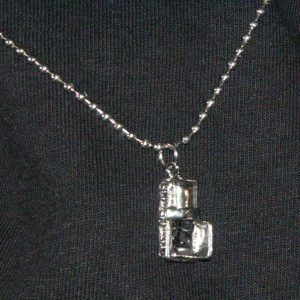 6-ft-under.com is a small business made up of a few friends who love Halloween and wanted to be able to celebrate it year ’round. All of the employees of 6 Feet Under, are fans of the darker side of things and also all fellow hearse drivers! (They make great company cars!) 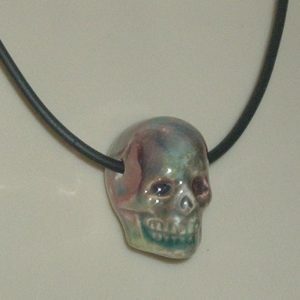 Most of the items offered by 6 Feet Under are very unique…after all, where else can you buy a skull bowl and a real human finger bone necklace? 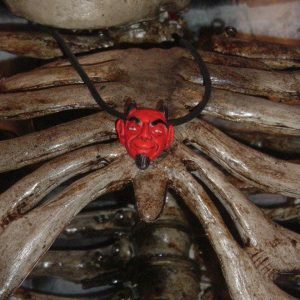 We are all things Goth, Macabre, Halloween and so much more!!! 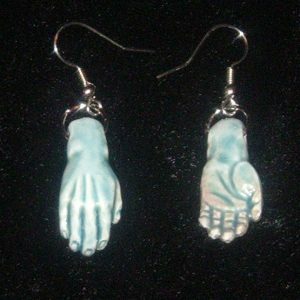 6FU have everything from charms to tees, books to bones and one-of-a-kind merchandise found nowhere else!! We wanna give you more options to feed your hunger for the macabre, appease your ghoulish yearning for the freakish, to horrify your peers. 6FU are here, just look under the bed.